While waiting for our taxi to the ferry I discovered the answer to a very important question: where does Santa Vacation? 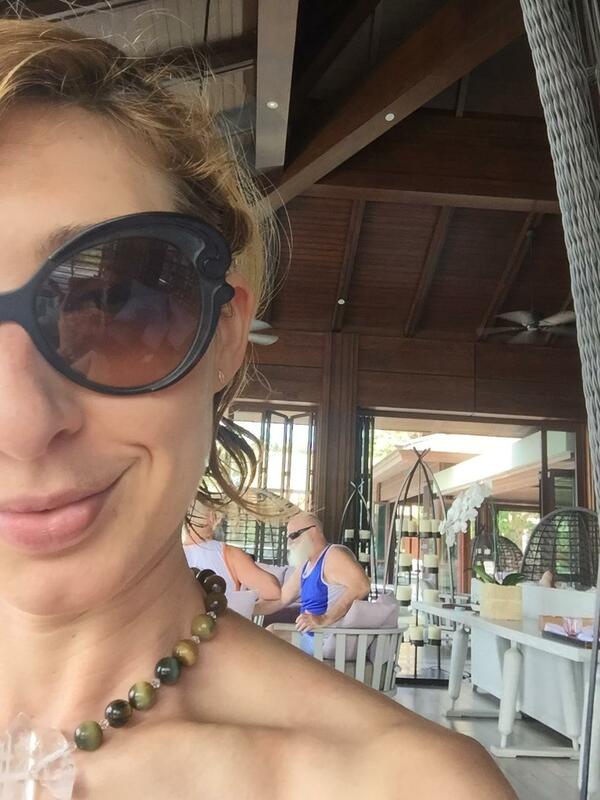 Here in Thailand of course! This was my uber sly shot as proof of his existence. 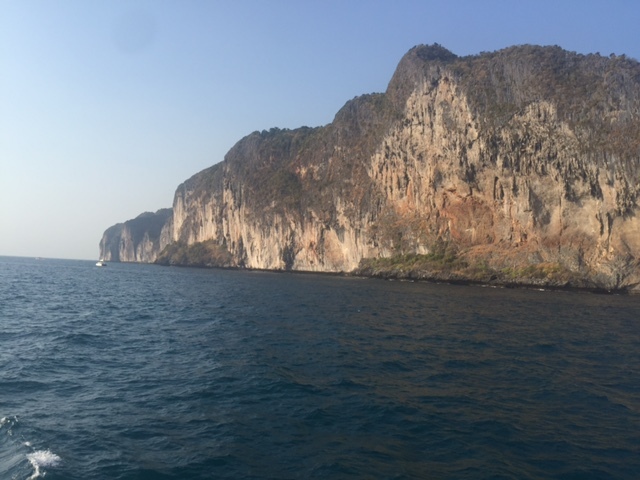 Then it was off to the ferry’s about 40 min across the island of Phuket. The views were amazing the heat was unavoidable. However, the time flew by as we met a lovely couple from Tokyo and enjoyed a Fast and the Furious installment. Thank goodness for a good book and conversation. I do wish I had taken some photos of the interesting suspects on this ferry. They came from all over the world and best description Real world contestants circa the late 90’s if Real world had gone to Europe or Australia. 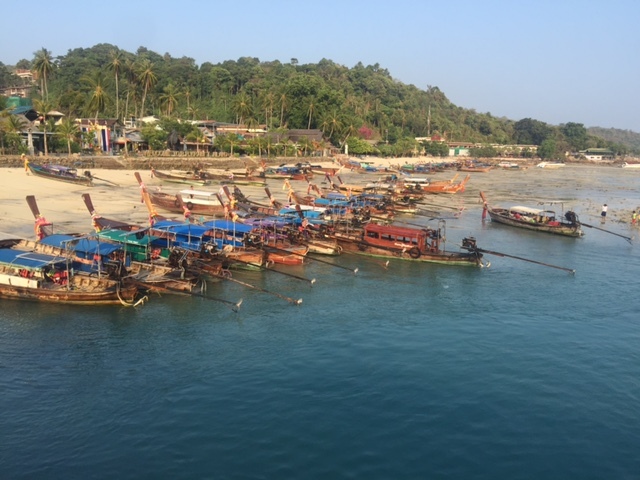 We arrived at Phi Phi Don island and paid the island tax to get on. “Everybody must pay!” Then we walked along the edge of the beach all the way to the cliffside where our hotel sat. It’s literally wedged into the cliffs. 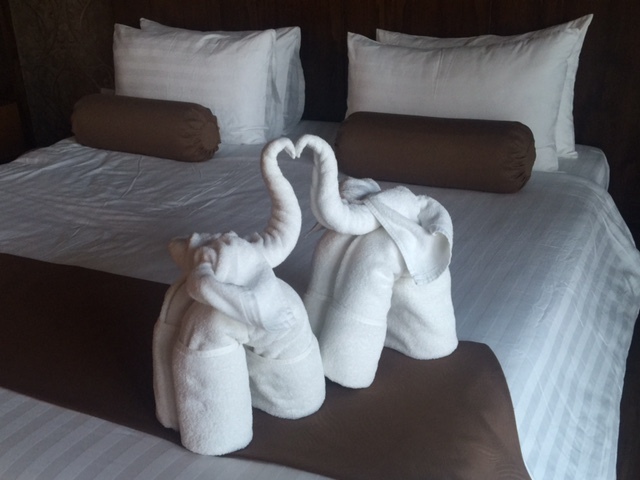 We were welcomed by a set of love towel elephants. I of course headed straight for the swing that looks out onto the water. The tide was out very far as the sunset. It’s a pretty rocky beach when the tide is out. After settling in and our third shower of the day we headed out for dinner. Stay tuned for Brad’s post where there are more swings, food and yes Fire! 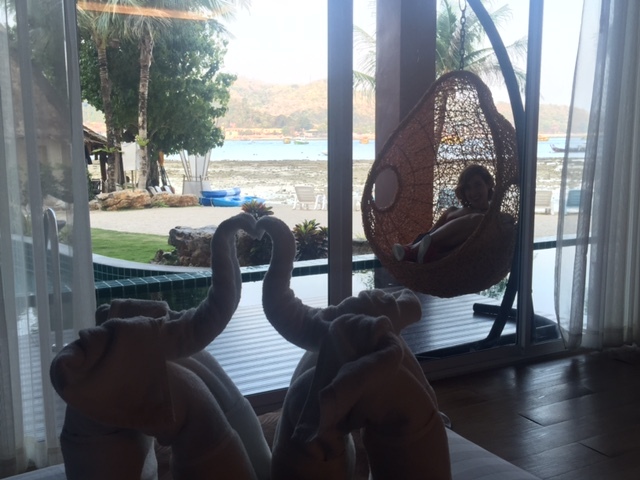 Nice swing & must not use those elephants towels ever, Lol!